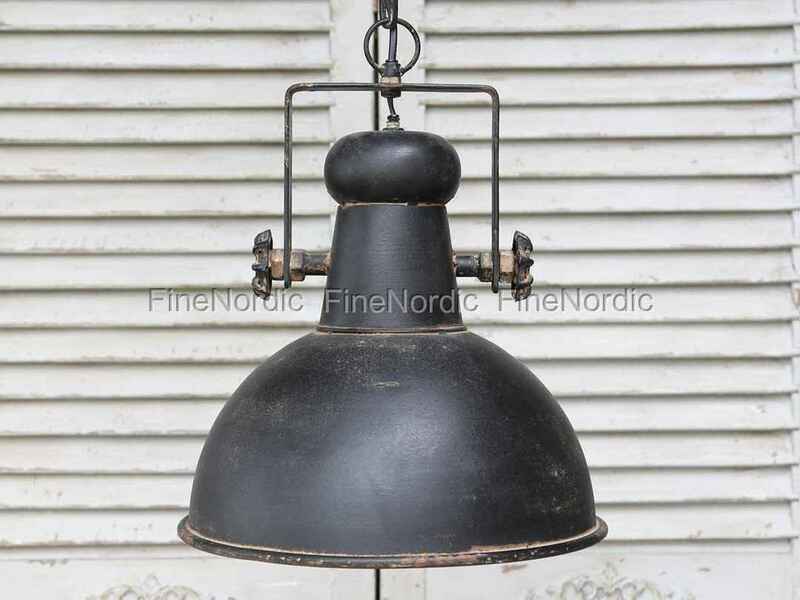 We love the Chic Antique Ceiling Lamp Factory Antique Black with its trendy industrial look. The lamp has a diameter of 32 cm and is 40 cm high. The desired shabby chic look and the lamp’s large screws makes it a real eye-catcher, whether over the dining table, in the living room or in the hallway. Max 60 W light bulb (not included) The cool design and the timeless color conjure up a stylish atmosphere and a unique look in your home.